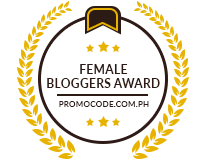 Tresemme Thermal Creations Heat Tamer Leave-in Spray - I bought this online for 395 pesos with free shipping (awesome deal!). For those who do not want to shop online, you can find the new Tresemme Keratin Smooth Heat Protection Spray at Watsons or SM Dept Stores for 495 pesos. 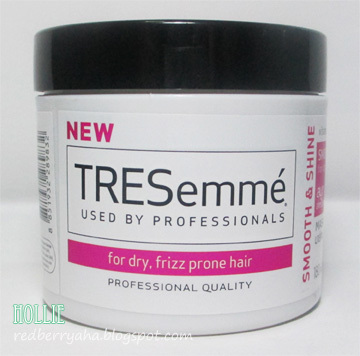 Tresemme Hair Mask for Dry, Frizz Prone Hair - I just ran out of hair conditioner and picked this up instead at Watsons. It was sold for 169 pesos. I already used it once, and my hair felt really light and soft. I did still have my hair frizz, but we'll see once I finish up the whole jar if there is any improvement on my frizzy hair. 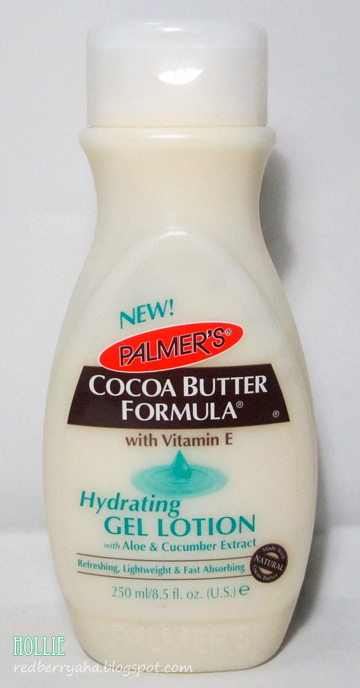 Palmer's Cocoa Butter Formula Hydraing Gel Lotion - I initially wanted to repurchase the Palmer's Cocoa Butter Formula for Dry, Itchy Skin Soothing Oil. Unfortunately, it was out of stock. I needed something to soothe the itchiness on my belly so I picked this up. I bought it at Rustan's Essences section for 395 pesos. 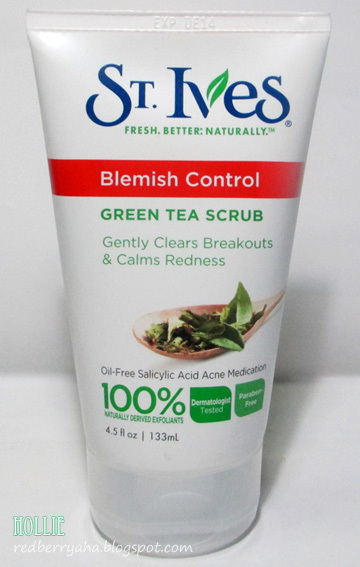 St. Ives Blemish Control Green Tea Scrub - This is actually a repurchase. I bought the small tube first last month just to test it out. And I really loved the product so I bought the big tube once I finished up the small tube. I got this at Watsons for 187 pesos. 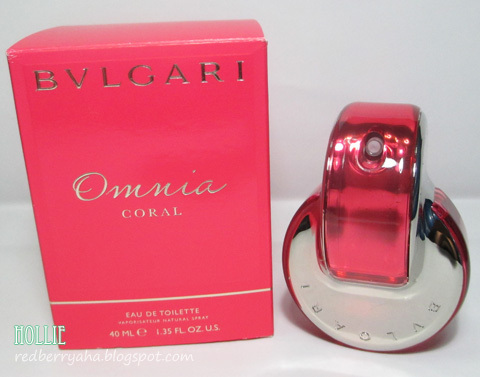 Bulgari Omnia Coral - I have been wanting to get this ever since it was displayed at Rustan's. I just fell in love with the scent right away. It is really mild and last long until the next day! If you love Clinique Happy, I am sure you'll love this too. By the way, my father-in-law bought this for me at Duty Free for $68. I bought the tresemme spray at ebay.ph. for hair tools, I'm a big fan of Conair, so I suggest that brand. You can also find Conair online coz it is not available locally. hi hollie :) another question where can i find conair online? :) tried ebay but they didnt have any conair hair products atm. I just got TRESemme' thermal creations heat tamer protective spray(given by my sister). The bottle looks very similar to the one you got. I wonder if they're the same thing. 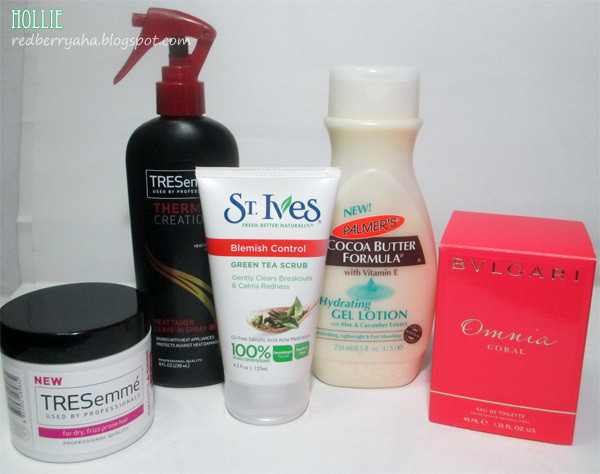 I've also been using the TRESemme hairmask but I think I liked Cream Silk's Hair Mask (pink) better. 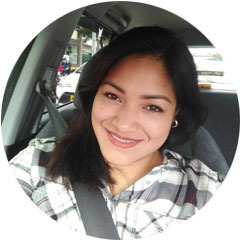 I'm currently hosting a giveaway on my blog right now with Bitchy Gypsy. You could win a stunning statement necklace just by liking their FB page! I'd really love it if you could enter.